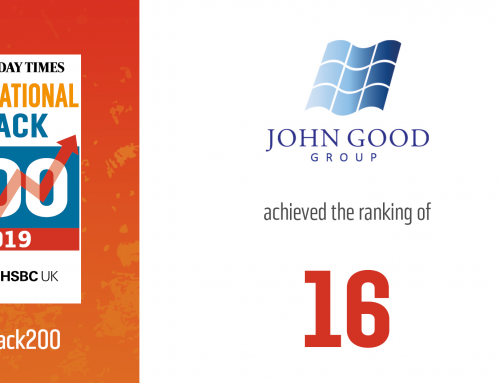 An encouraging start to 2015 followed a successful 2014, which once again saw John Good Shipping increase its cargo liftings and further expand its client base to become a leading freight forwarder on the Turkey – UK trade route. Working in close conjunction with our own group offices based in Istanbul and Izmir, our FCL and LCL CONSOL liftings continue to display good year-on-year growth. Our success in 2014 comes against the current backdrop of economic and political uncertainty in Turkey. 2014 saw Turkey lose some of its previous economic momentum which was as a result of weakening domestic and external demands. Growth is forecast to remain subdued with GDP growth projected to be around the 3.25% mark in 2015, rising gradually to around 4% in 2016. The Turkish Lira has weakened against the USD and on the 30th January 2015 was trading at 2.45 TRY against the USD, effectively losing 7.80 % of its value when calculated on an annual basis. On a more positive note, the inflation figure recently released for January 2015 recorded a fourteen month low of 7.24%, down from the 8.17 % recorded the previous month. Political uncertainty remains in Turkey with the parliamentary elections scheduled for June drawing closer. However, Turkey continues to offer John Good Shipping’s freight forwarding division many opportunities with the UK remaining a major trading partner, currently third in line behind Germany and Iraq. A vast range of products are produced with manufactured goods currently accounting for an extremely high percentage of Turkey’s total exports. Additionally, we have seen a noticeable swing in manufacturing patterns with some of the major products previously sourced from China now being sourced from Turkey, with UK importers reporting that they are obtaining a better quality product at a more competitive price with the added bonus of greatly reduced delivery times. There is no doubt that the LCL sea freight consolidation services ex Istanbul and Izmir have been a major factor in our growth on this trade route, as we offer a direct, fixed day, weekly service from both ports to the UK. So, is an LCL sea freight service a viable option to road trailers? The short answer is yes. Of course the main objection from potential clients will be the transit time and in this respect we would never profess to be able to match the transit times offered by some of the road trailer operators, but with careful planning in relation to lead times, the differential in transit time can be minimised with the added benefit being a saving on freight costs of up to 35%. There is also evidence to demonstrate that a reduction in the receipt of damaged cargo and consequent insurance claims can be achieved by utilising an LCL sea freight consolidation service. The FCL import market remains buoyant and thankfully does not face the volatile rate situation that we currently experience on the Asia- Europe trade. 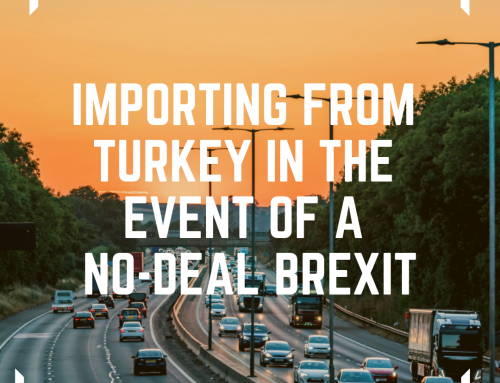 The lines operating on the Turkey – UK trade route continue to offer a wide range of options in terms of direct services, transhipment services and ultimately transit times. Whilst a high percentage of Turkey’s exports were destined for Europe last year, there appears to be a continuing diversification of trading partners with a noticeable increase in trade with the Middle East and Central Asia in particular. This diversification offers the Turkish offices of John Good Denizcilik further opportunities to develop their business to and from areas other than the current core UK market.